At our meeting on Monday 11th September, a large number of residents attended to voice their concern and objection to the Pentland House planning application. The application requests a change of use from office building to student housing. As a statutory body the Community Council can lodge a response on behalf of the community. Following our monthly meeting the Community Council took the decision to formally object to the application on behalf of the local community. The objection is noted below. At the HCCC meeting on 11 September a number of residents attended who were very concerned about the change in use and its impact in the area. However, it was also emphasised that many of the local residents are very elderly, without online access, and who found it difficult to get information about the proposal or to submit their views. Residents fear the impact on residential amenity given the close proximity of a young and short term population with a settled population of families with children and older people: impacts include noise in the neighbourhood, especially late at night. 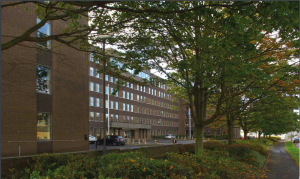 There will be a public consultation held on Tuesday 27 June, from 3pm – 7pm, regarding the proposed redevelopment of Pentland House. Edinburgh Napier University would like to turn the building into student accommodation and landscape the surrounding area. 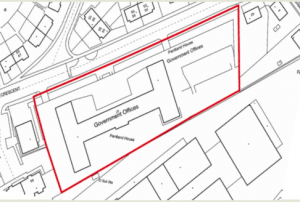 This is the first public consultation before a formal planning application is made. Agents will be available from 3pm – 7pm with plans and drawings. Venue: Unit 4, Edinburgh West Retail Park (the empty unit), Chesser Avenue. More information can be found on the council website.